Casa Laguna offers fully furnished vacation apartments built on a remote long secluded sandy beach on the south side of Los Barriles. Pristine location off the beaten path. Boat launch facilities on the property. Bring your boat or charter one of the many available to pick you up less than 100' from your front door. This location is the best area on the East Caoe for surf fishing, strolling, swimming,snorkeling, kayaking, riding ATV's and horseback riding. The sandy beach is prime surf fishing for rooster fish and Sierra. Take in the most spectacular sunrise and sunsets in the world from your patio while watching the whales and dolphins at play offshore. The Palms' is a one bedroom, one bath, kitchenette unit with washer/dryer featuring a small private balcony overlooking undeveloped, endless beach and mountain views. Kayaks, herb garden, use of wood fired brick oven during your stay. Our hosts were so wonderful. Our stay in their beautiful Casa was the most relaxing vacation ever. We would definitely stay there again. Every detail was perfect. The location was wonderful, hearing the waves at night was so great. I can not say enough wonderful things about our whole experience at Casa Laguna. A fabulous location with charming hosts. The rooms were spotless and we'll decorated. Because we arrived on Christmas Eve, there were even Christmas stocking and a small gift. This property is a bit out of town so a vehicle would be mandatory, but the flip side of this is all the birds and wildlife that you will get to experience. The beach is clean and the water is crystal clear. We stayed for just over 2 months in this room but as we had friends in town and we spent quite a lot of time outside we were very comfortable in the smaller living space. It was very well appointed with a large bedroom with a king sized bed, tv and WiFi. We loved our time there and we would definitely recommend it to others and would book here again. 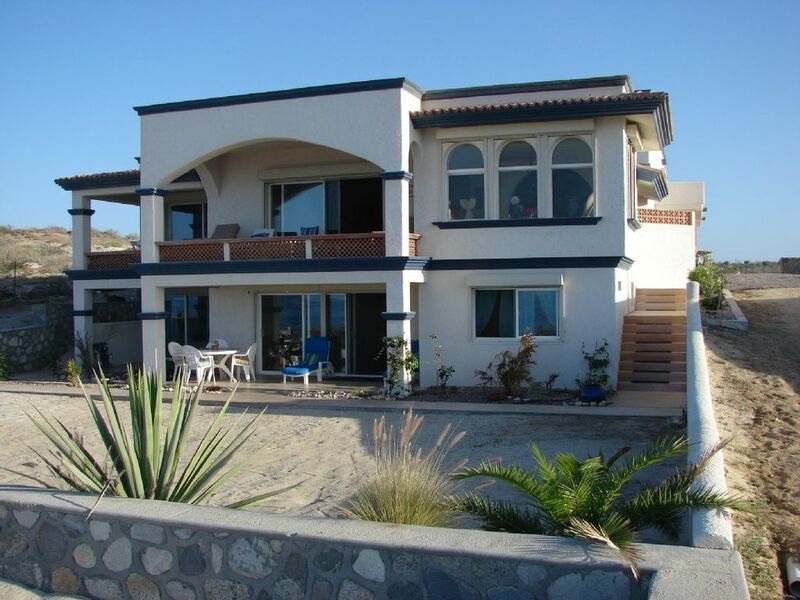 Casa Laguna is located in La Capilla on the East Cape, 5 miles south of Los Barriles, Baja California Sur, Mexico. 100 dollars per night plus 13% IVA bed tax (2 night minimum rental) 100 dollars per night total (2 night minimum).Total includes IVA bed tax. 100.00 dollars total per night (2 night minimum) including all taxes and fees.